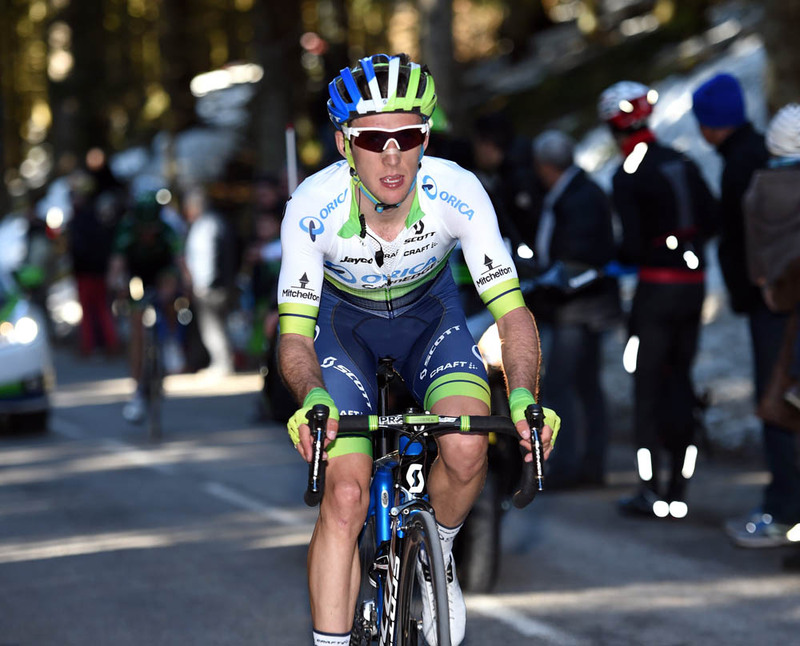 Simon Yates is only 16 months into his first professional contract, but is aiming as high as possible with the Ardennes Classics and the Tour de Romandie on the horizon. Australian team Orica-GreenEdge is giving the 22-year-old Englishman his chance in WorldTour races against cycling’s biggest names. Instead of shying away, Yates is taking the opportunity head on. “Look at the past winners in Romandie, Chris Froome‘s won it the last two years, and the people who’ve been up there are the best sort of climbers,” Yates told Cycling Weekly. In the short time since turning professional with Orica last season, Yates has come a long way. He made his debut in the 2014 Tour de France and progressed enough to score a fifth place in last week’s Tour of the Basque Country. In Spain, he raced among the stars. Spaniard Joaquím Rodríguez (Katusha), who counts four podium finishes in grand tours, won the overall. Colombian Nairo Quintana (Movistar), winner of the 2014 Giro d’Italia and second in the 2013 Tour, placed fourth. Behind Yates were world champion Michal Kwiatkowski (Etixx-Quick Step) and Tejay van Garderen (BMC Racing). 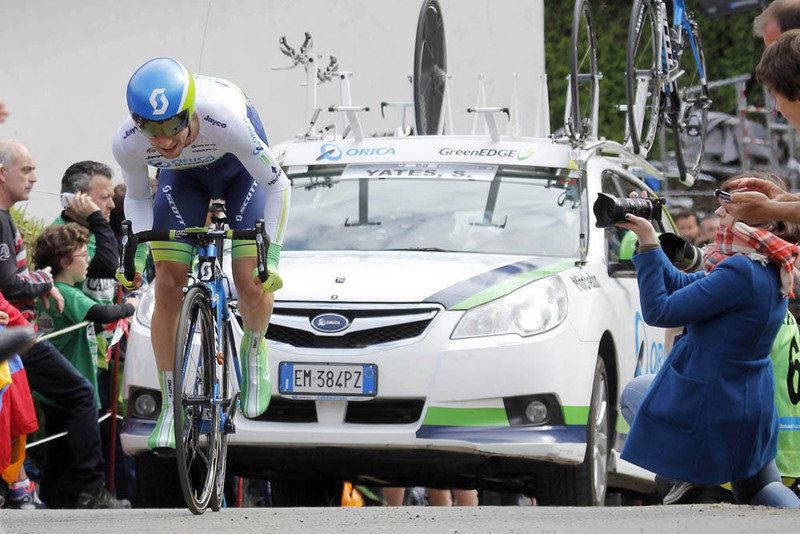 Orica’s sports director, Matt White explained the resent result showed that Yates can win in the upcoming races. He has three races on his radar before a break: La Flèche Wallonne tomorrow, Liège-Bastogne-Liège on Sunday and the six-day Swiss race, the Tour de Romandie at the end of April. “I feel like I’m going well. It’s the same as last year at this point in time, though, and I didn’t even make the front group in Flèche,” Yates added. Twin brother Adam Yates crashed and fractured his finger in the first stage of the Tour of the Basque Country. Orica gave Simon the chance to lead the team and defend Adam’s Tour of Turkey title, but Simon shook his head and said “no.” He wants his opportunity to win a WorldTour race. “You need to go into the races in that frame of mind. If you go into it thinking of a top 10, then you’d always be happy with that. If I say that I want a stage win or want to be up there overall, that’s better than saying I’d be happy with a top 10 or 20. The 205.5-kilometre Flèche Wallonne ends with a 1.3-kilometre climb up the “Mur” or “Wall” in Huy, in southern Belgium. Last year, Spaniard Alejandro Valverde (Movistar) won. Rodríguez won in 2012 and Australian Cadel Evans in 2010. A British rider has never won in the race’s 78 editions. Tom Simpson came the closest in 1965, finishing third behind Italians Roberto Poggiali and Felice Gimondi. “I remember watching these races growing up. I remember watching Flèche Wallonne every year, the only classic that finishes up a climb,” Yates said.